From the Batman collection by Quantum Mechanix. Batman 1989 Batwing Metal Vehicle Statue. From the Batman collection by Quantum Mechanix. 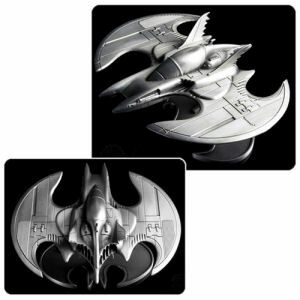 Batman 1989 Batwing Metal Vehicle Statue. Measures 6.75 inches by 5.75 inches and approximately 3 inches tall. Made of high quality metal. Quantum Mechanix Batman Vehicles shipping from Canada. No Surprise Border fees or Customs!